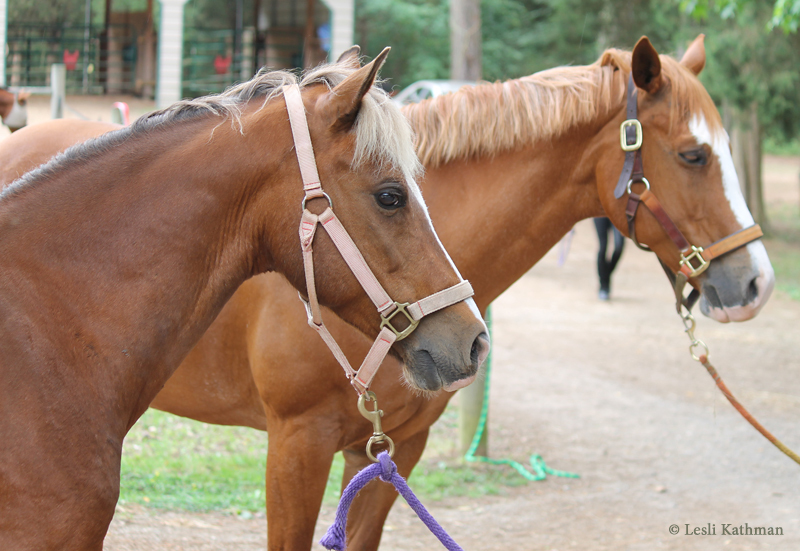 Although bay horses with the silver dilution look a lot like a bay horse with a flaxen mane and tail, not all bay horses that have lighter manes and tails are necessarily red silvers. 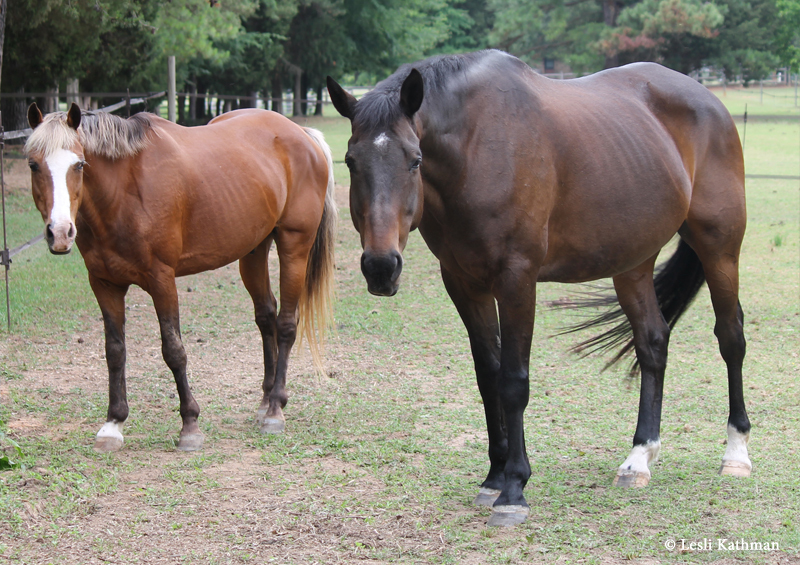 There are other reasons a bay horse may have a lighter mane or tail. The next few posts will show some of these red silver mimics. The first of these is what Arabian breeders often call a Gulastra Plume. 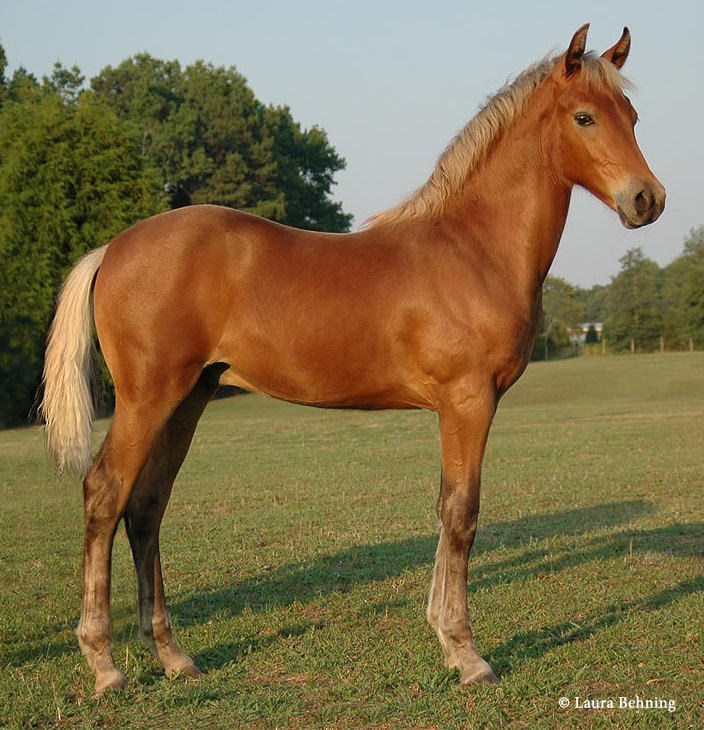 The trait takes its name from the Arabian stallion Gulastra. 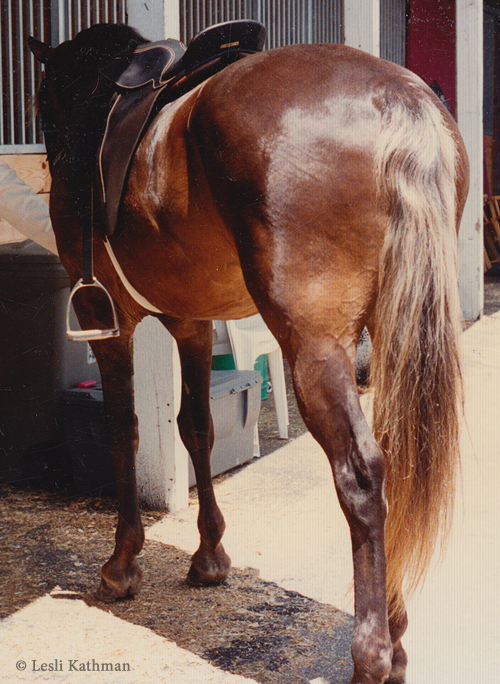 Gulastra himself was a chestnut with a self-colored tail, but flaxen tails were said it was common on his bay descendants. Like a lot of color variations named for specific horses, the “founder” is not necessarily the horse responsible for the original mutation. It is more accurate to say they brought attention to the trait. So not all horses with a Gulastra Plume are descendants of Gulastra. Some have no known Arabian blood at all, like the stout pony at the top of this post. In other breeds, it is sometimes called silvertail. 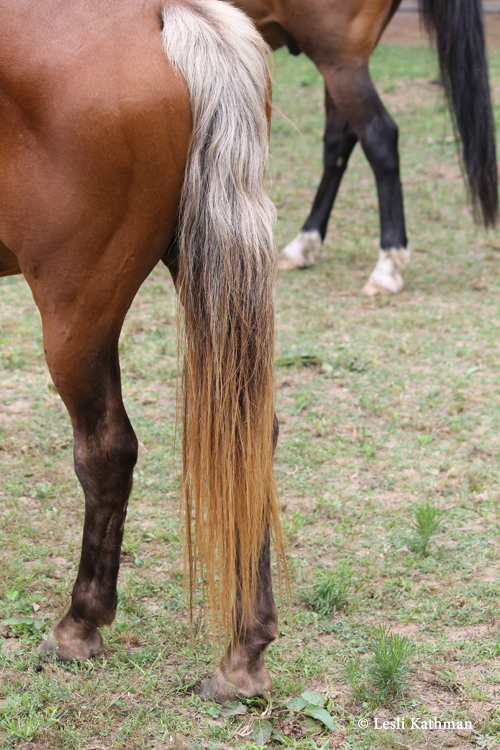 Compared to an ordinary bay tail, the tail does look silver, but the lighter hairs often have a warm, flaxen tone rather than a cool, silvery one. Some silver-tailed bays – like this guy – have reduced black points on the legs, and flaxen hairs on the lower parts of the leg are not uncommon. This can make them even more likely to be mistaken for a bay silver, but the dark tones on the points are truly black and not a diluted chocolate. It is also possible to find silver tails on bays that have fully black points, though the reduced black seems to be more common. 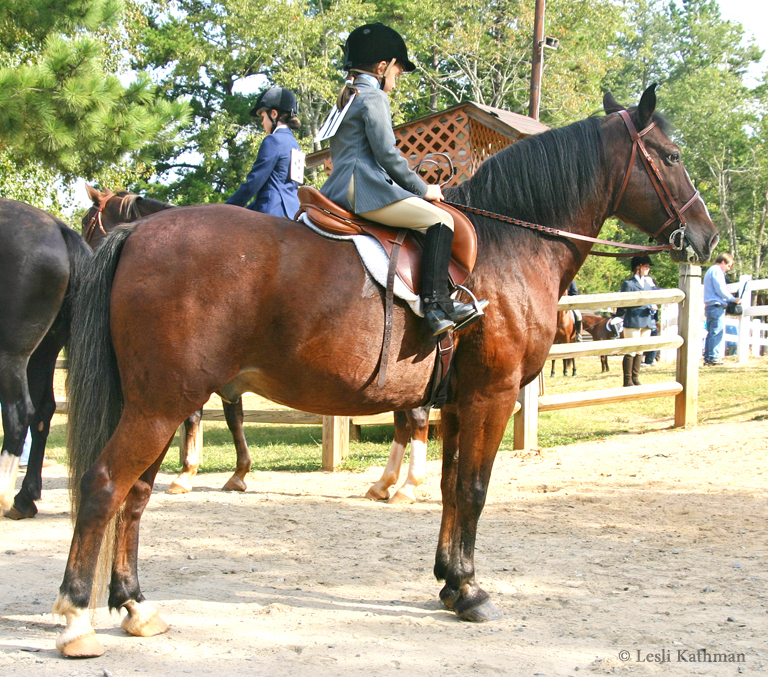 Most horses with a Gulastra Plume do not have significantly lighter manes. This guy has a few white hairs interspersed in what is an otherwise fully black mane. From a distance, his mane looked black. 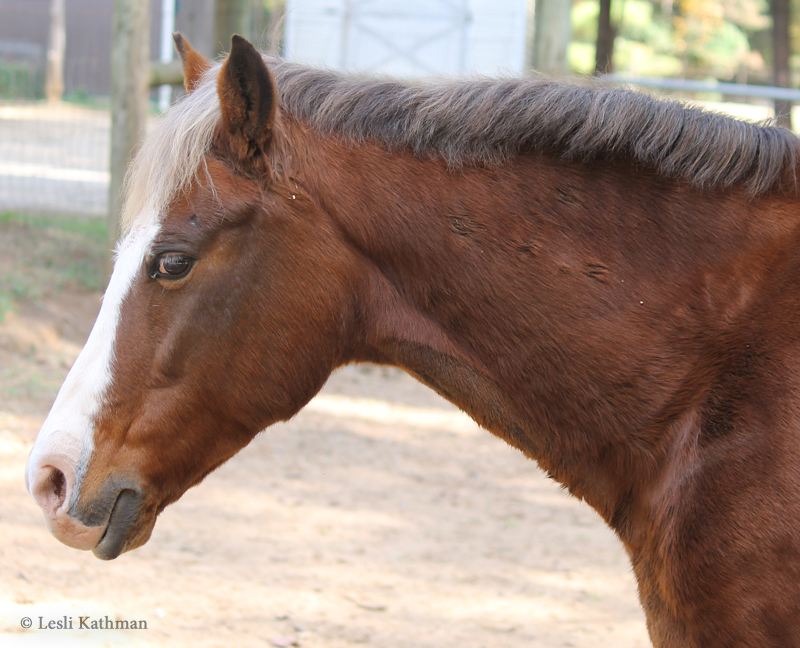 Were he a silver (even an older silver), I would expect to see some hint of flaxen at least at the forelock. Here is a comparison shot of this guy’s tail (to the far right) and two of the previously posted red silvers. Notice how the variegation is a bit different with the two types of tails. Silver dilute tails shift in tone in a way that reminds me of ombré textiles (and the current human hair trend of the same name), whereas the Gulastra Plume is more of a mixture of the two colors. That said, there may well be quite a bit of variation in the tails of horses with a Gulastra Plume. 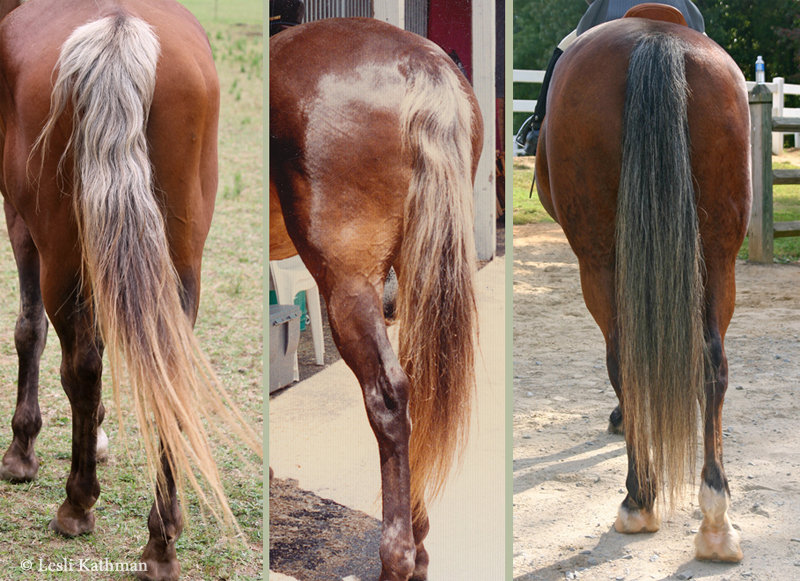 To my knowledge, it has not been formally studied, and as the posts over the next few days will show, the situation with flaxen and silver manes and tails on bays is not entirely clear. It is quite possible that there are multiple factors producing similar results. For that reason, it is often the color of the legs (chocolate rather than black) that is often more reliable when trying to identify bay silvers. This is probably one of the better-known images of a bay silver horse. It was used to illustrate the color in the paper identifying the silver mutation, and has been widely shared on the internet since that time. 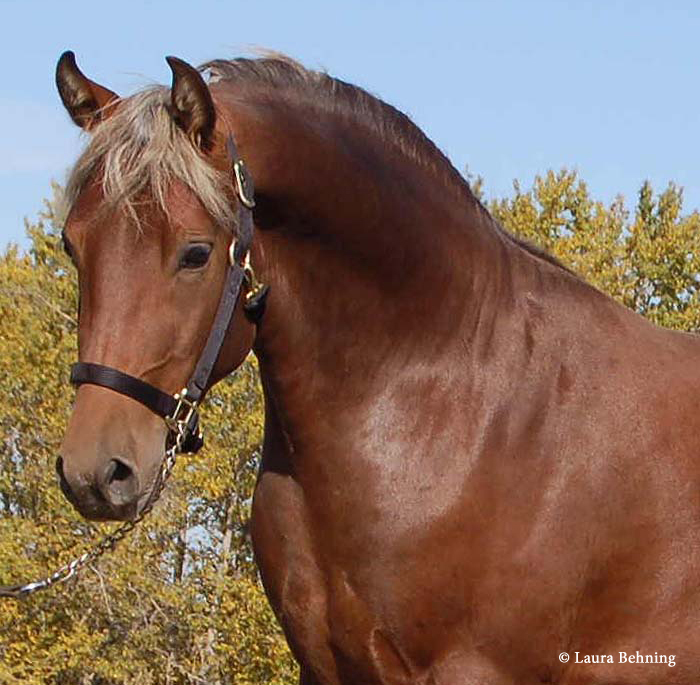 His name is Unconventional (“Connor”), and he is a Morgan bred by Laura Behning. Laura was instrumental in identifying and documenting the silver dilution in the Morgan breed. Her website documenting those lines is a wonderful resource for anyone interested in silver, and is particularly notable for the number of images of silver foals. When silver dilutes are young adults, this contrast is part of what makes the color so striking. It also makes them relatively easy to identify. That is not necessarily true as they age, however. Most horses with lighter manes and tails lose some of that contrast with age, but that seems to be particularly true of silver dilutes. This next image is pretty typical of how the flaxen mane looks on an older silver. 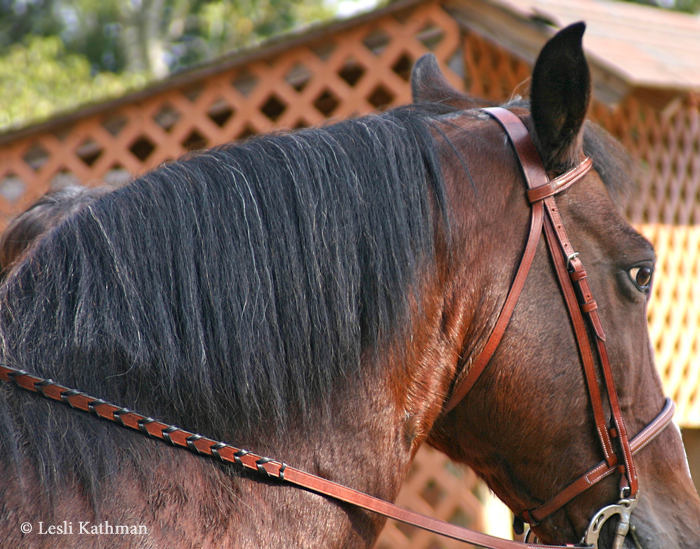 Most bay silvers have dark roots, but as the horse ages the dark parts of the mane tend to spread until it is just the ends of the mane that are pale. The forelock tends to stay palest the longest, as the images of this pony show. It is likely that, had his mane not been cut, he would have somewhat lighter ends. Still it is the forelock that is unusually pale, and that color changes pretty abruptly at the ears, as the image of his forelock parted and tucked behind his ears shows. Tails darken as well, usually starting with a dark core like the one visible on this Rocky Mountain Horse. 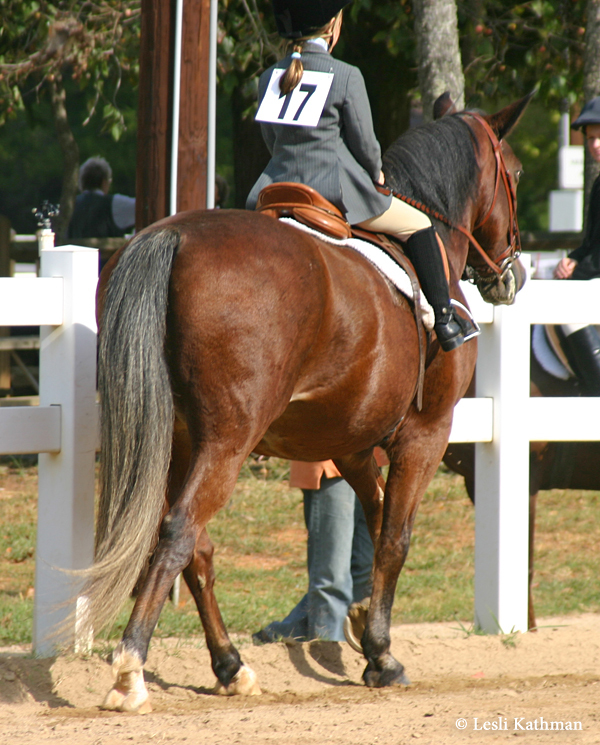 In some cases, older silver dilutes can appear to have completely dark tails, or at least tails that do not look significantly different from a horse that has sun-faded. This Rocky Mountain horse is a seventeen year-old buckskin silver. 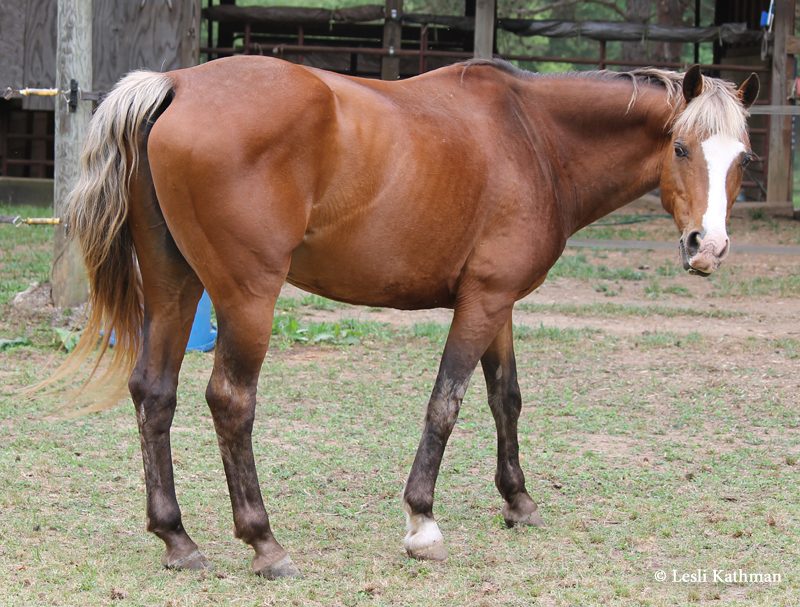 Her tail is almost completely dark, while she has retained the paler tips on her mane and the flaxen forelock. 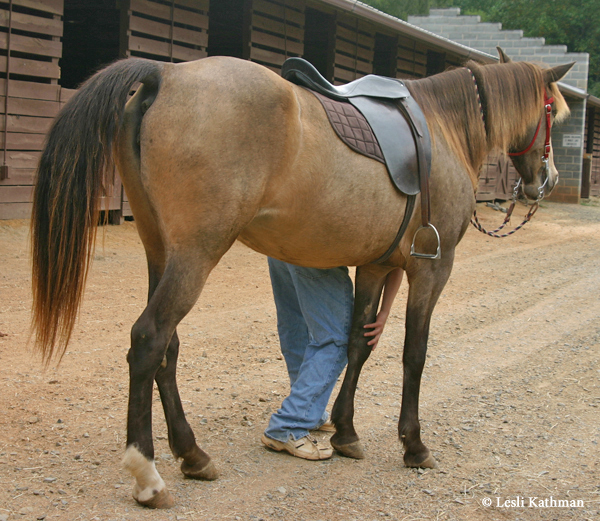 This mare does not show a lot of flaxen contrast on her lower legs. They were visibly chocolate – not black – in person, but the kind of mottling seen on some bay silver legs was not present. It seems that the more uniformly dark silvers are more likely to lose the contrast on their manes and tails, though it seems all lose it to some extent with age. This does complicate the search for silver in historical records. Horses like the Groninger stallion Iregon do not look silver in the handful of images available, even though they are known sources of the silver dilution. Silver is not visible on chestnut horses, because they have no black pigment to dilute. And if that was not complicated enough, it appears there are other factors unrelated to silver that can turn the mane and tail of a bay horse silver or flaxen. The next post on silvers will be about some of the silver mimics. I recently had the opportunity to take some good comparison shots of a bay silver pony. Under his silver dilution, the base color on Applejacks (pictured above) is a relatively clear medium shade of bay. He is a good individual to show how bay silvers – sometimes called red silvers – look different from both bay and chestnut horses even without using the flaxen mane and tail as a clue. Most of the pictures in this post were taken in early May, so you can still see some of the remains of his paler winter coat. (A post about seasonal changes in silver dilutes will follow this one.) The darker areas of his legs are a more accurate reflection of his true color. Applejacks is relatively young, so he still has quite a bit of flaxen in both his mane and his tail. 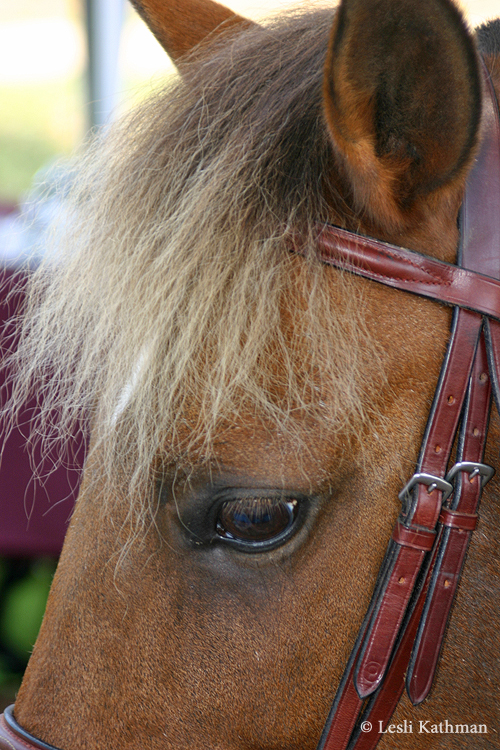 Most silvers lose some of this contrast, starting with the roots of their manes, as they age. Even so, his lower legs give him away as a silver. Compare his legs to his dark bay pasture mate, Newcastle. The legs on Applejacks are not truly black, but chocolate. 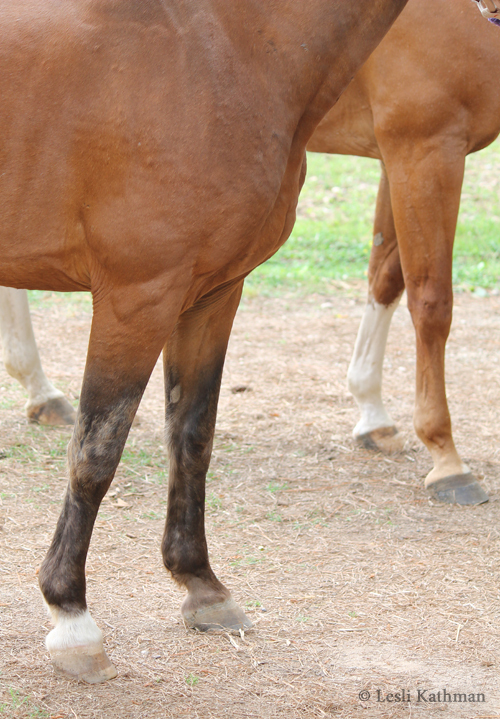 This shot of his hindquarters, where the backs of his legs are visible, shows this even more clearly. What is perhaps more subtle, however, is the difference between the body color of a bay silver and that of an ordinary chestnut. Bay silvers are sometimes said to look like chestnuts with bay legs, but as any artist who paints horses can tell you, there is more to even a clear, medium bay than just black points. Bays have countershaded coats that an ordinary red chestnut lacks. This face shot of Applejacks with his red chestnut friend Rose shows this quite well. Notice the darker shading along the nasal bone, the underside of the cheek, and most especially on the neck. Even a seemingly monochromatic bay will have darker shading along the top and bottom edges of the neck (when viewed in profile), while the area just behind the ears and down the jugular groove will be more truly red or red-gold. Darker shading is also present on the edge of the ears. This photo of Applejacks, taken as he began to put on his darker winter coat, shows his bay facial shading quite well. 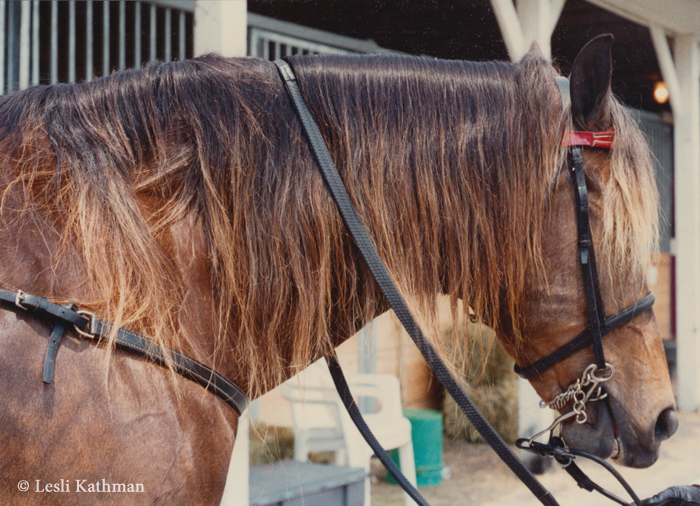 Even if his mane was not visible, so the viewer did not know if it was red or black, most experienced horsemen would assume he was bay, not chestnut. It is the countershading that gives the visual cues that he is bay. Compare the forehand on Applejacks to the red chestnut Rose. Here I have taken color samples from the two images to show how bay countershading is still influencing Applejacks’ coat. 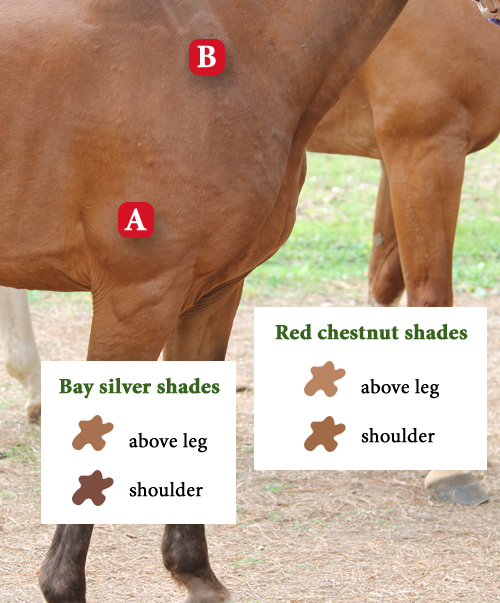 Picking the color of the high point of the muscle right above the foreleg (A), and then another at the shoulder (B), I have compared the difference between the two horses. 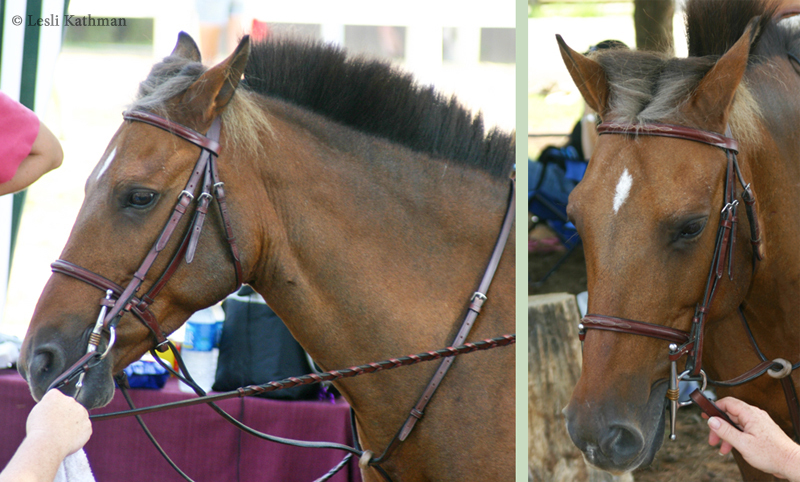 For both horses, the color at (A) is pretty close to one another. There is also not a lot of change from the shade above Rose’s leg to the shade on her neck. For Applejacks, though, the color is quite different from both Rose’s shoulder and the color above his leg. It is that difference in shading that can often provide a clue that a horse is a bay with the silver dilute, rather than a liver chestnut. These clues are not foolproof, but looking for legs where the darkest areas are not truly black, and bodies that are shaded in a way that suggests the horse is really a bay, are good places to start. 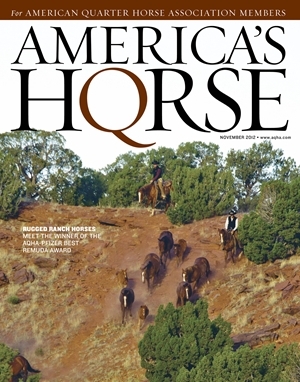 If you are just joining us here at the Equine Tapestry blog through the article in the current issue of America’s Horse, welcome! To supplement the information in “Seeing Silver”, I will be adding a series of posts about the silver dilution in the coming days. I would also encourage you to browse through the archived posts, which stretch back a little more than a year now. There is a widget to the right that will allow you to search the archives for key words, or you can click on one of the listed categories to pull up the posts on that topic. For long-time readers, I still have a few more color oddities to post that might get interspersed with the posts on silver. I am also almost done with the transition of the Splash White Project from the tab here on the blog to a set of pages on the website. Progress there has been hampered somewhat by server outages here on the east coast, but that seems to be improving.